I have a theory about hyper-inflated prices at restaurants in Lebanon. Why are they at least twice as expensive as they should be? Why is it that Lebanese who travel to Europe or the United States come back raving about how cheap and affordable restaurants abroad are compared to their Lebanese counterparts? Case in point: Stockholm is the latest food addition to Gemmayze. 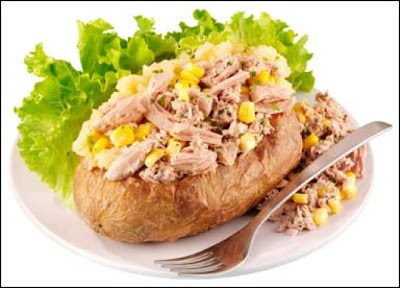 A self-declared Swedish restaurant, Stockholm features a “Bakad Potatis,” which it describes as “a delicious baked potato stuffed with a delightful special sauce packed with shrimps, ham, chicken curry, or tuna.” How much do you suppose one of these glorified potatoes would set you back? $5? $10 if the restaurant’s particularly fancy? Sorry, guess again.